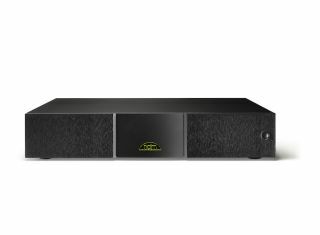 Naim revamps its range of power amplifiers | What Hi-Fi? Naim is tweaking its line of classic power amplifiers to include the company's DR (Discrete Regulator) technology, new transistors and a new circuit-board design. Four power amps have been re-engineered to take into account trickle-down tech from the company's £135,000 Statement pre/power amp pairing: the NAP 200 DR (£1662.50), 250 DR (£2912.50), 300 DR (£6079.17) and 500 DR (£16,250). Naim's Discrete Regulator technology claims to deliver a more stable power feed and less noise, while the addition of higher-grade transistors and a new circuit-board design have all been implemented with the aim of delivering improved sound quality. Three of the new models go on sale in June, with the the NAP 500 DR to follow in August. Current owners of the standard versions will be able to upgrade their power amps to the new specification in late 2015 to early 2016. Pricing for the upgrades is still to be confirmed.